Blue Hand Steam delivers steam weeding solutions around Australia in order to achieve it’s mission of creating positive social and environmental impact. 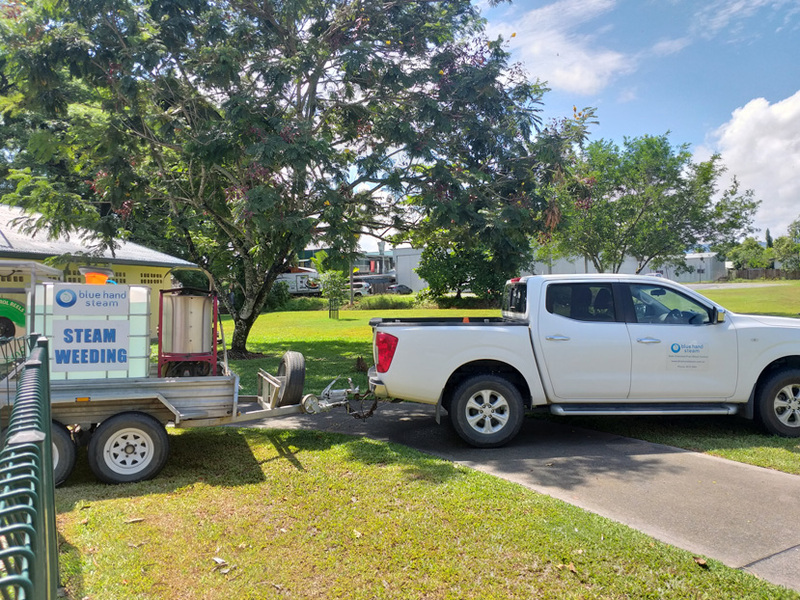 Blue Hand Steam supports our community with access to safe and organic weed control solutions through research, education, training and the provision of saturated steam weeding technology equipment and services. Safe chemical free parks, playgrounds, streets, schools. A rain forest and reef ecosystem that will live on for generations to come. To build a resilient and empowered community with access to a safe environment, clean food, resources and opportunities towards sustainable living. Blue Hand Steam provides saturated steam weeding technology and equipment throughout Australia. The Steam Wand SW range of steam weeding machines are designed and developed in Australia and have been used by councils, farmers, contractors and land management groups for over 15 years. Blue Hand Steam has partnered with Terrain NRM to help promote the benefits of steam weeding technology to relevant groups, organisations, landcare managers and primary industry. These organisations support sustainable natural resource management. Blue Hand Steam is a member of the Wet Tropics Healthy Waterways Partnership and collaborates with members to improve the health of our waterways and the quality of water flowing to the Great Barrier Reef.